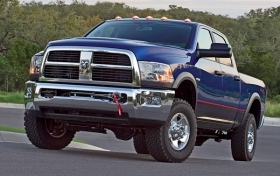 Heavy-duty Dodge Rams are Chrysler's only redesigned 2010 models. Motor Trend magazine has named the revamped heavy-duty version of the Dodge Ram as its Truck of the Year -- the second significant award for a Chrysler Group product this week. 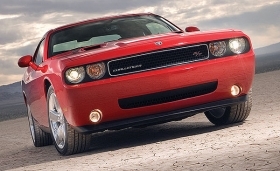 On Tuesday, the Dodge Challenger sports coupe was named “Most Satisfying” in a Consumer Reports survey. In the Consumer Reports survey, more Challenger owners said they'd buy another one than owners of any other car. Motor Trend's editors, in selecting the Ram, cited the truck's comfortable and quiet interior, attractive exterior styling and Cummins diesel engine, which meets emissions standards in all 50 states without needing expensive aftertreatment technology. The award can influence sales, and most automakers tout it in their advertising.